IMRT/IGRT: IMRT rounds at the TOHCC are a weekly multidisciplinary meeting of radiation oncologists, medical physicists and medical radiation therapists. 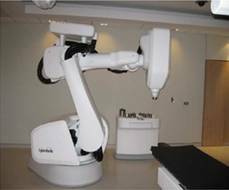 Cases are reviewed prior to patients starting treatment in order to share collective experience with new delivery techniques in radiation medicine as well as to performance quality assurance of targeting and dose distribution evaluation. Inpatient Care: Welcome to radiation oncology ward. 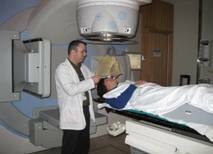 The radiation oncology ward is a dedicated 20 bed unit staffed by a dynamic multidisciplinary team. It consists of an attending radiation oncologist, general practitioners in oncology (GPO), clinical manager, clinical educator, RNs with specialized training in oncology, physiotherapist, occupational therapist, speech language therapist, dietician , clinical pharmacist social worker, and pastoral care. 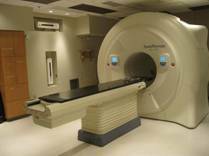 The majority of patients are admitted for radiation and/or oncology related complications. Others require in hospital support while undergoing radiotherapy treatments. 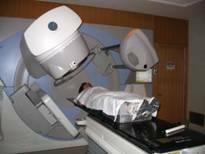 Many patients are receiving curative radiotherapy but a large proportion are receiving palliative radiotherapy. The team works closely with the palliative care consult service. CHEO: Children requiring radiotherapy in Eastern Ontario and Western Quebec are treated through the Children’s Hospital of Eastern Ontario and the Radiation Medicine Program of the Ottawa Hospital. We are active members of the Children Oncology Group (COG). The Kingston pediatric oncology program is an affiliate for radiotherapy. Most children are treated through this membership in COG, in clinical trials, allowing the same treatments and quality assurance as all major pediatric oncology centres in North America.